Toyota and Suzuki have arrived at a joint decision of consolidating their business partnership that was created in February 2017. The Japanese automakers have concluded an agreement that is concerned with sharing some volume models in India. Also, the new agreement constitutes the selling of a rebadged Maruti Vitara Brezza in our market by Toyota Kirloskar Motor. This announcement surely has taken the automobile industry by surprise, since very recently, Toyota Kirloskar India MD Akito Tachibana had stated that the company is considering a global SUV for our market, and this model would belong to the price range of INR 10-15 lakh. As per an agreement, Toyota will not only borrow the Maruti Vitara Brezza but also the Maruti Baleno. The Toyota Etios is a slow seller and the Toyota-badged Maruti Baleno would give the company an edge amongst the other B-segment hatchbacks. 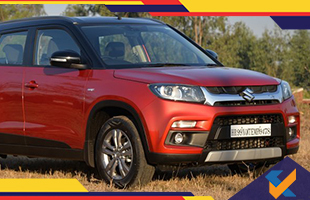 Reports have revealed that 30,000-50,000 units of the Baleno and Vitara Brezza from Suzuki will be sourced. The agreement also affirms that Suzuki will source the Toyota Corolla petrol and Toyota Corolla Hybrid. Thus, Maruti Suzuki will finally have a successor to the Kizashi. However, what remains unclear is whether it will get the eleventh generation model that is nearing the end of its lifecycle or the twelfth generation model that is slated to make its debut in late-2018. The same report has also revealed that Toyota will supply 10,000 units of the Corolla to Suzuki, which will serve as an ideal upgrade to Maruti Ciaz owners.